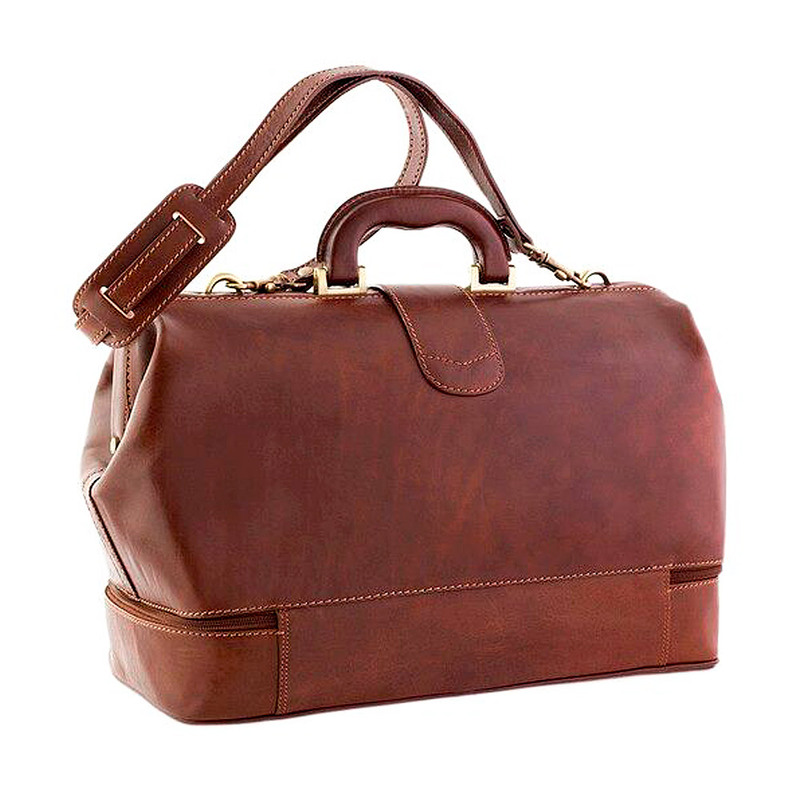 Original Tuscany doctor's bags in genuine leather are the perfect synthesis between functionality and elegance. The "Medical Bag" is the must-have of healthcare professionals and a perfect gift idea for new graduates in medicine and surgery. Are you an active healthcare professional? Do you work in different structures or make home visits? Or are you a graduate who’s going to enter in the working life after so many years of study? All healthcare professionals need a reliable doctor's bag, which is durable and can last for years without loose shape or being ruined. This bag must therefore meet the criteria of longevity, resistence, functionality and capacity. 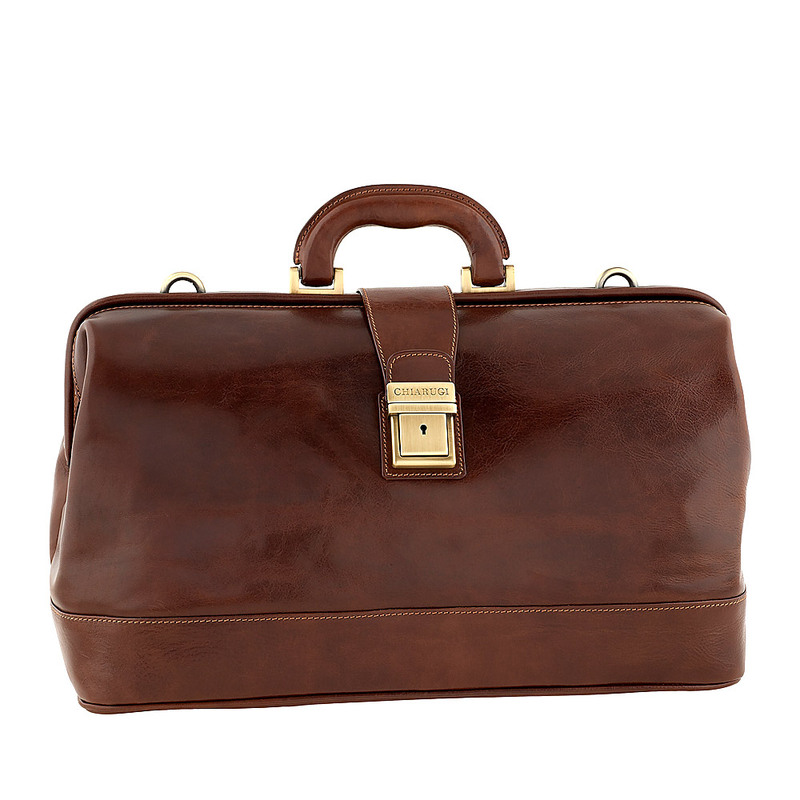 The doctor's bag in genuine leather has these characteristics and is undoubtedly the most elegant solution. 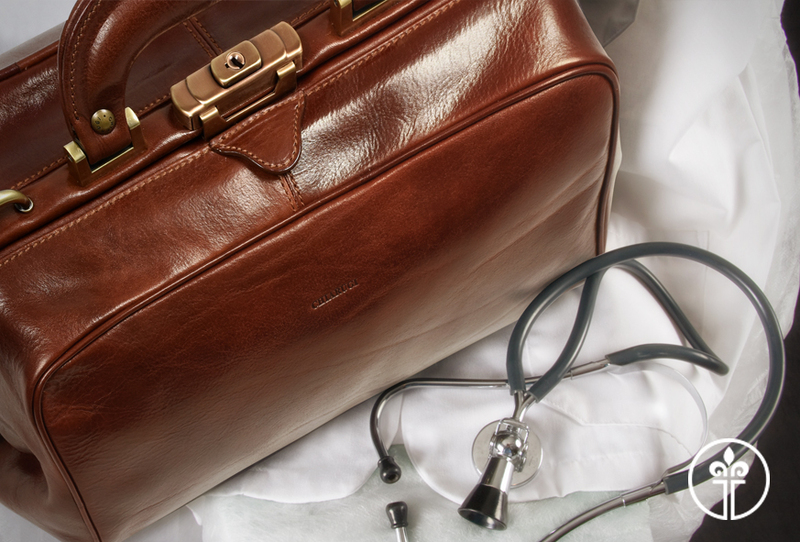 It is essential for a doctor to make a good first impression and a quality accessory such as an handcrafted genuine leather doctor's bag will give the patient the feeling of being in "good hands" with a competent professional. 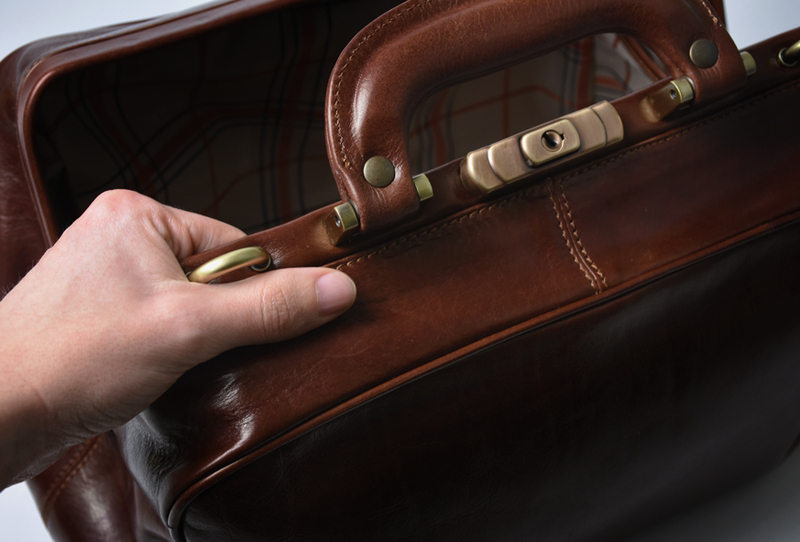 A top quality leather is also the best choice to build a safe case and protect the medical equipment during all the trips, but if it is true that generally the leather is considered as a resistant and naturally waterproof material, not all the leathers are the same! Our doctor bags are made of real grain leather, vegetable tanned, a type of processing that does not use toxic substances harmful to humans. You will be able to appreciate how this leather absorbs the traces of everyday life and with natural aging will take even more value. It is also a material that can last tens of years because it resists well to wear, unlike faux leather or fabric, materials often used for these bags. The Original Tuscany "doctor bags" are 100% handcrafted in Tuscany, the expert hands of leather goods guarantee robust stitching and clean finishes. The traditional know-how in the production of high quality bags is combined with the constant updating of models with current needs. This has led us to improve the practicality of the medical bag by adding shoulder portability and large and fast opening, improving the security of the lock and adapting the capacity to carry not only diagnostic tools and prescriptions books but also technological devices such as tablets, smartphones and notebooks that are now indispensable. The intent of Original Tuscany is therefore to provide an “evergreen” product, practical and elegant, to faithfully accompany your daily work. 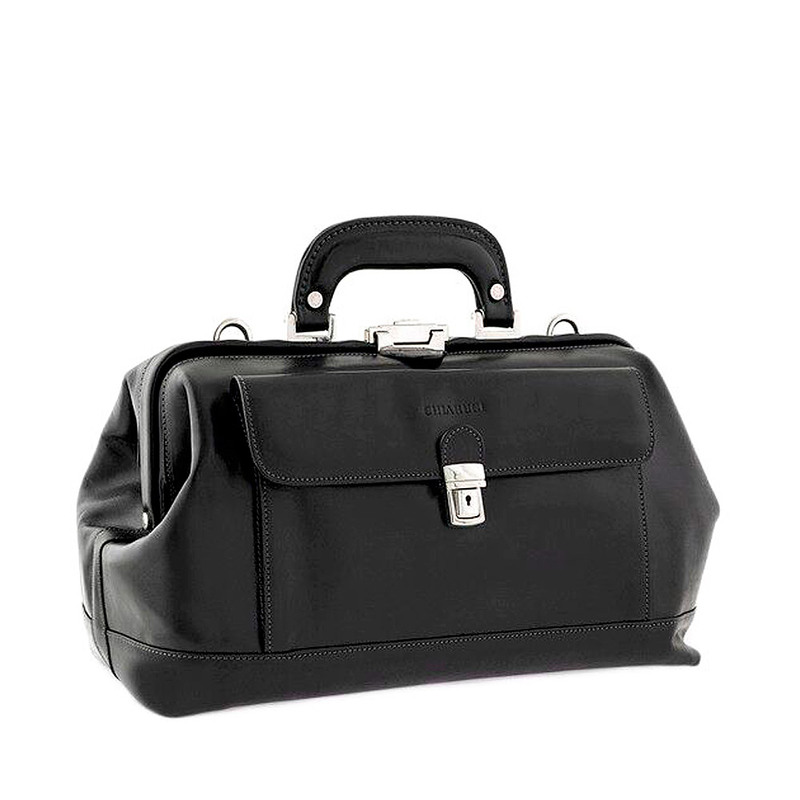 The AVOGADRO doctor bag is compact but large enough to accommodate all medical objects, documents and 10 "tablets. It is a bag that has a large opening, perfect for quickly take something in the bag, the shoulder strap has a comfortable shoulder-rest strap in the same material and the leather handle. Together with the contemporary design of the entire bag, they give a unique and elegant style and allow you to alternate a more traditional look with more casual, though always professional, clothing. 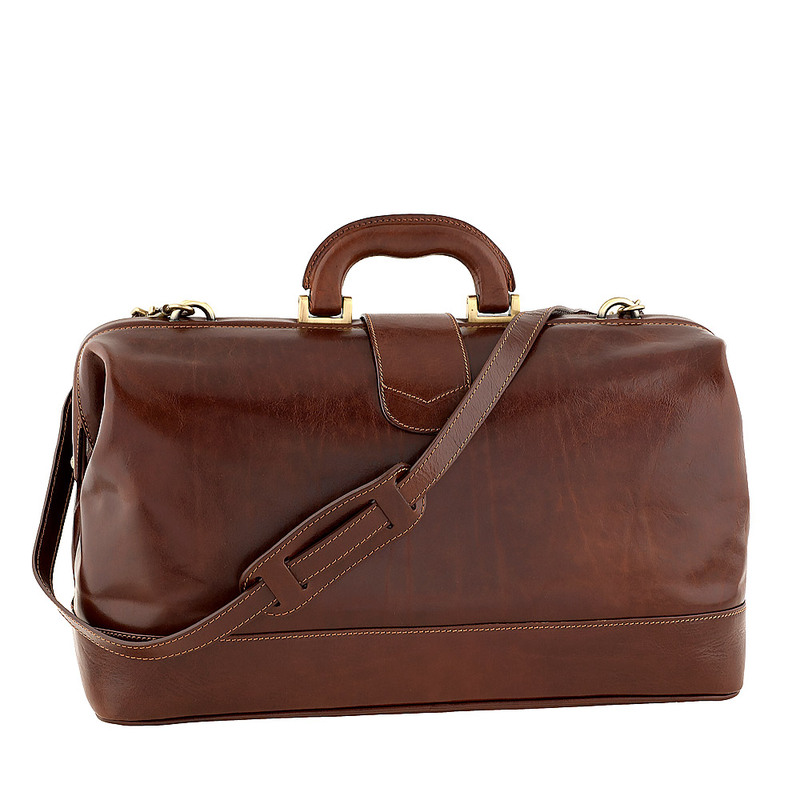 Galileo is another model of a doctor's bag that has a timeless appeal. 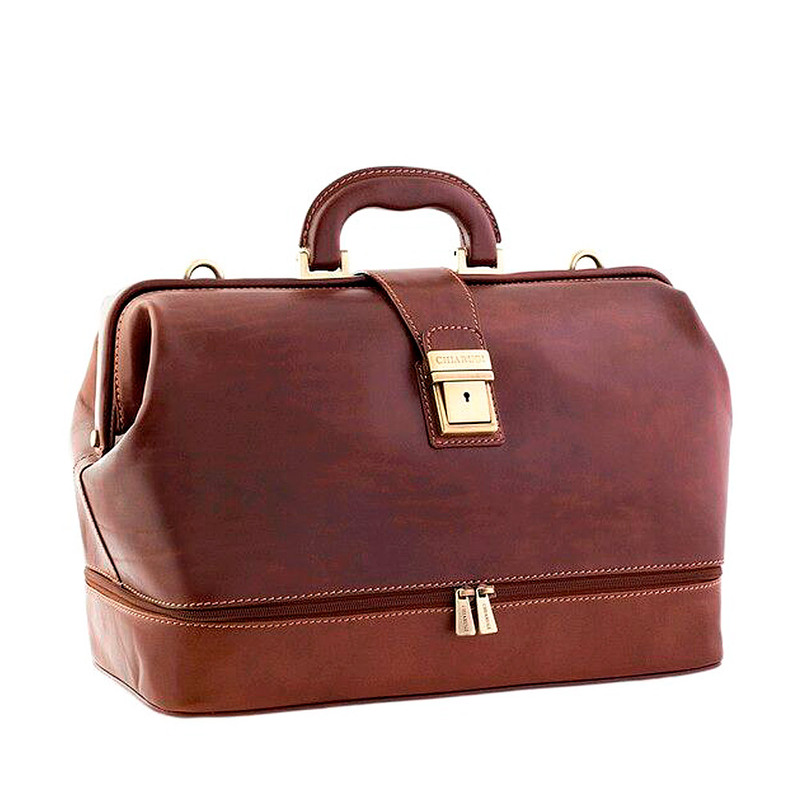 The refined style of this bag cannot go unnoticed and is also very practical. 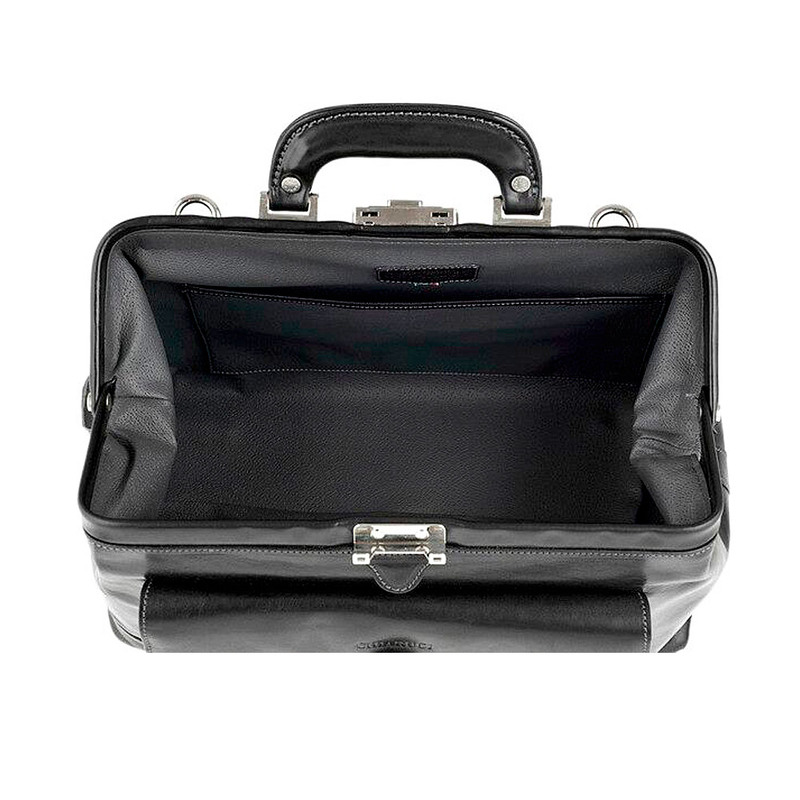 Equipped with a large upper compartment lined with fabric, closed with a lace and key lock, it is ideal for organizing your work tools in an organized way. 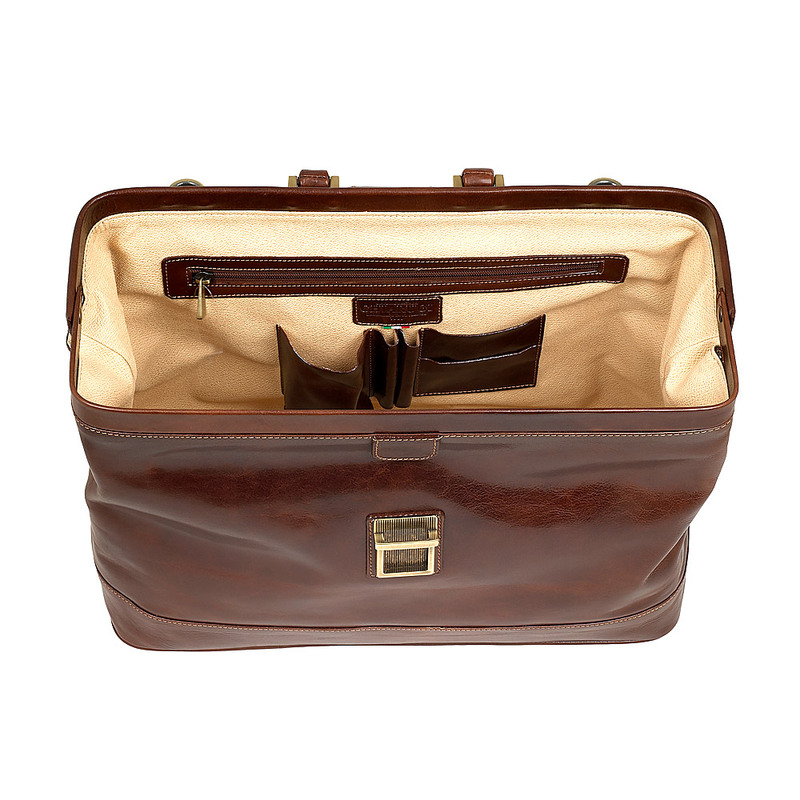 It has an independent lower compartment with a zipper closure. 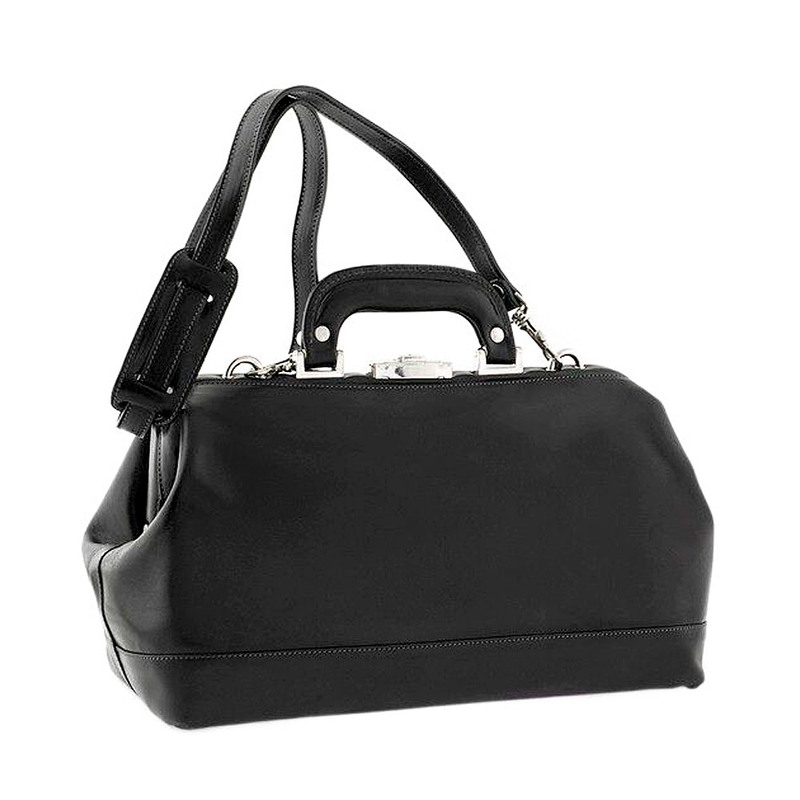 The leather handle is rounded, with the possibility of adding a removable shoulder strap. 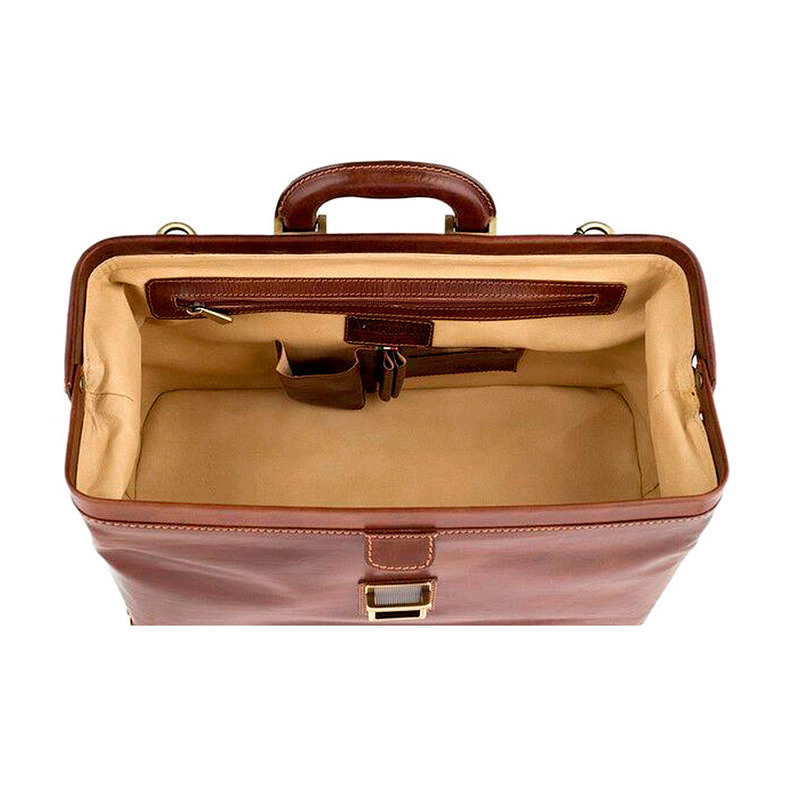 With its classic trunk shape and rigid construction, it inspires professionalism and rigor. Portable with a choice of comfortable leather handles or the most practical removable leather shoulder strap, fitted with a sliding band to better rest it on the shoulder and distribute the weight. Inside, we note once again the particular attention to detail; the quality of the lining, the zips, the seams of the pockets make it clear that nothing has been overlooked in this product. Take a look at our messenger bags and briefcases bags and contact us if you have any doubts or needs some more information.